Four wings, the top and bottom ones nearly identical. A heavy night interceptor with a headlamp! A crew of four with two engines, and vastly unarmed. Despite all those wings, it climbed like a flying pig. I’m thinking it is a P.B.31E Nighthawk, built by Supermarine; only one example was built. 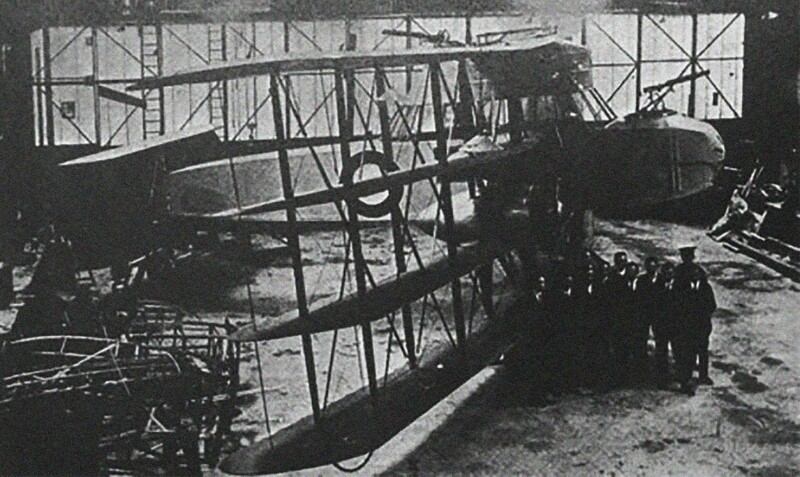 Supermarine Night Hawk – a supposed anti-zeppelin machine that had trouble getting out of its own way.